It’s about time that someone finally said it. 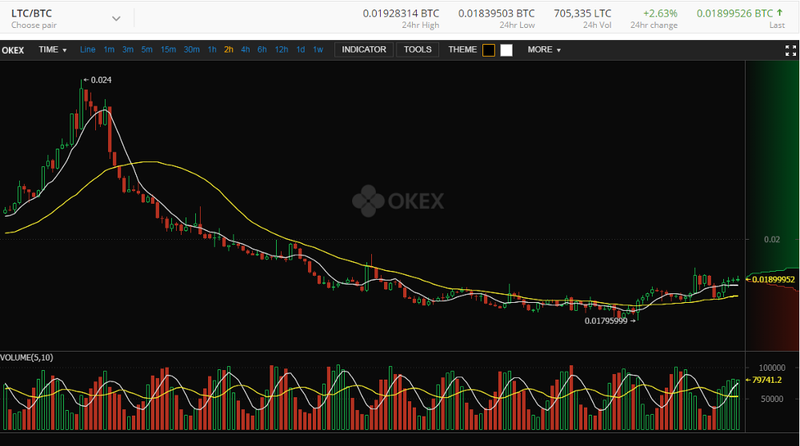 The OKex exchange has been a shitshow for months and the shady behavior with regards to their exchange’s ownership links, the rampant wash trading, forced liquidations and other features to ‘game the system’ and subsequently their traders, has had a devastating impact on the sphere as a whole. The purpose of this article will be to expose these connections and activities in full within this article in order to enlighten the crypto community and hopefully spur some individuals to either stop trading on the platform or demand immediate change. To be clear, OKex is a subsidiary of the company, OKcoin. At times in this article, the two terms will be used interchangeably. However, there are other times where this will not be the case because the distinction between the two entities will be necessary to emphasize a specific point. 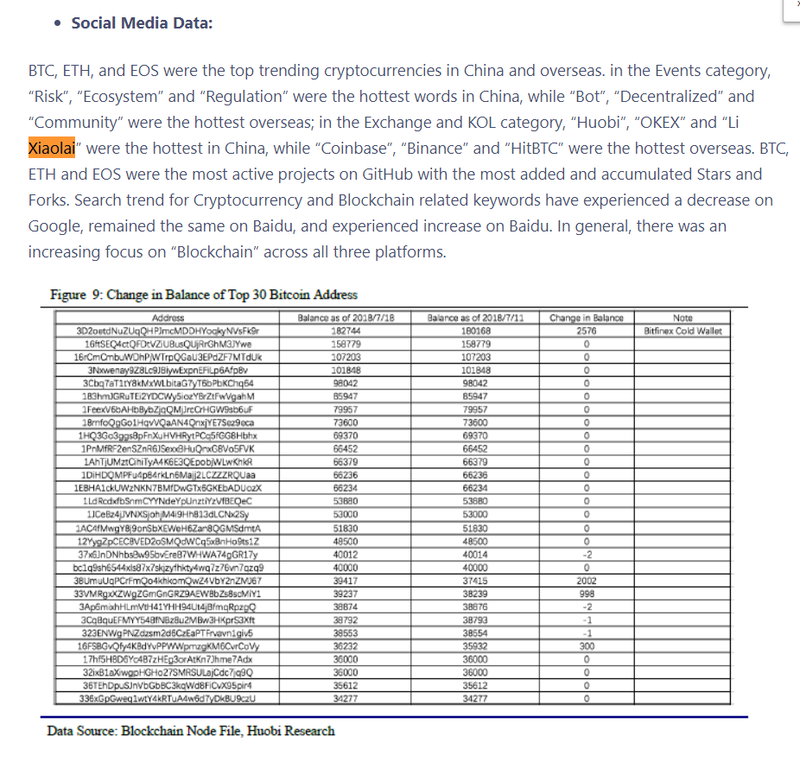 The exchange was founded in 2014 by an individual named Star Xu. It is headquartered in Hong Kong and, until recently, served as the #1 exchange in in all of crypto (according to CMC). Since its inception almost, the exchange has been mired in nonstop controversy and head-scratching events that have left traders wondering exactly what the hell is going on at OKex. We’ll start with the most recent claims. You read that right ^. So, Roger Ver, the owner of the domain, https://bitcoin.com has been in a perpetual dispute with OKex over the name. Here’s an article about the issue from CoinTelegraph (dated in 2016). 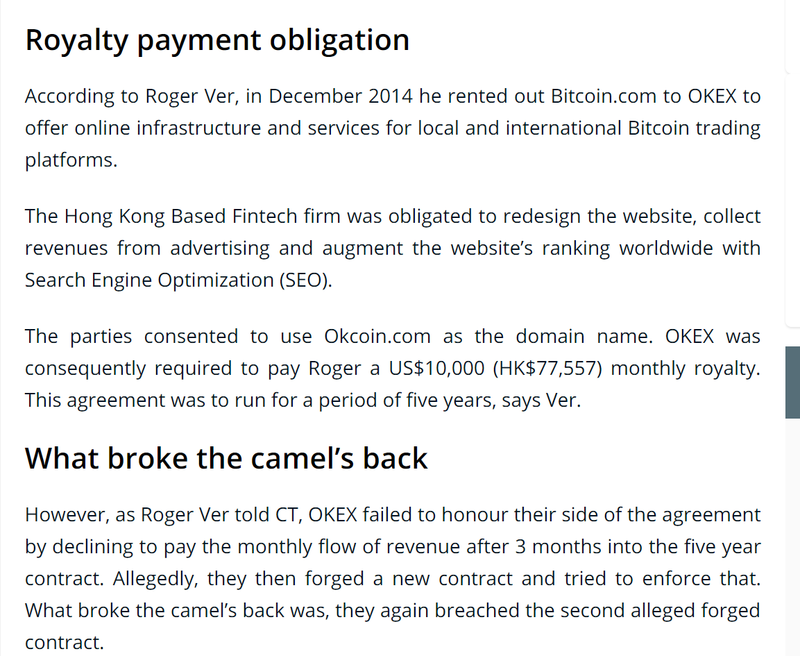 According to Roger, he rented out the website’s domain name to OKex and then they violated the contract that they had written up for this arrangement, Then, OKex subsequently forged his name on another contract where his rights to the website were relinquished and he claims that this contract, too, was violated by OKex. The screeshot above from the article more or less summarizes this issue. Now, without having actually been there to witness this arrangement take place, its impossible to say who is right or wrong. OKex, of course, denies everything. 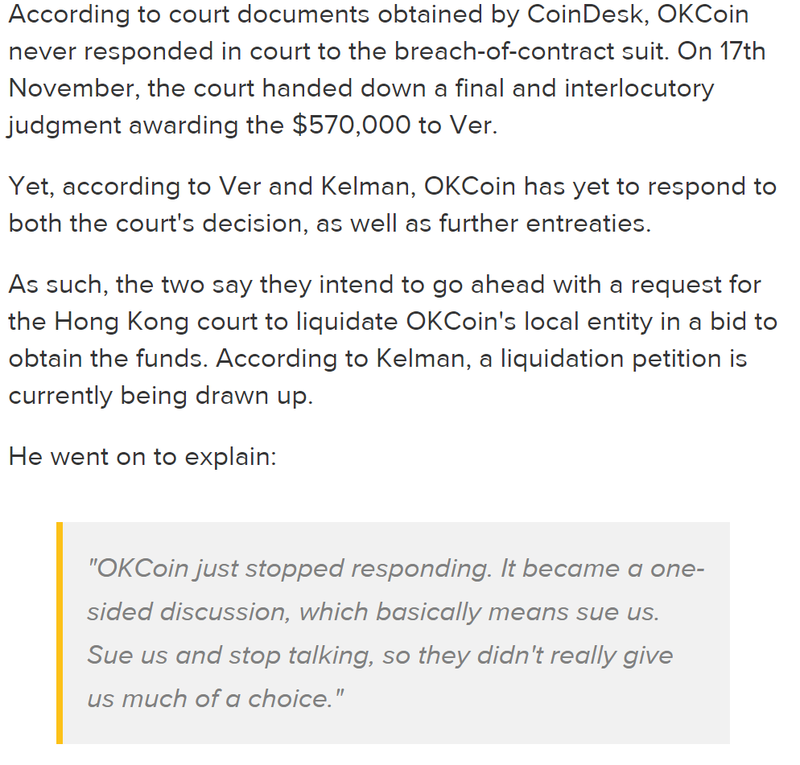 Since that point, Roger Ver has been in perpetual litigation with the exchange over this issue and the alleged non-payment of the money owed to him by OKex under the contract terms. Here’s a follow-up article on the matter by CoinDesk (which was owned by DCG at the time, just keep that in mind). So either they forgot, blew trial or just didn’t care. Perhaps it was a combination of all three. In either case, Roger Ver won the judgment against OKex, which is just one of a number of odd situations that they have been involved in the just four years of their existence. Let’s fast forward to the next major incident for them. 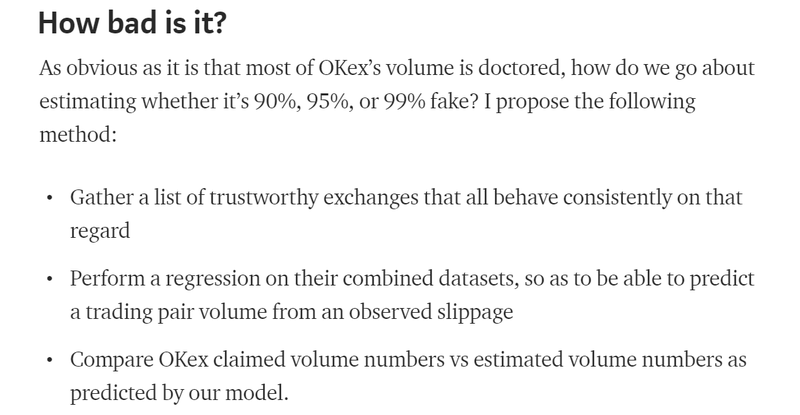 Yes, even hacks at the OKex exchange are not cut and dry. Check out this article by CoinTelegraph detailing the hack itself. 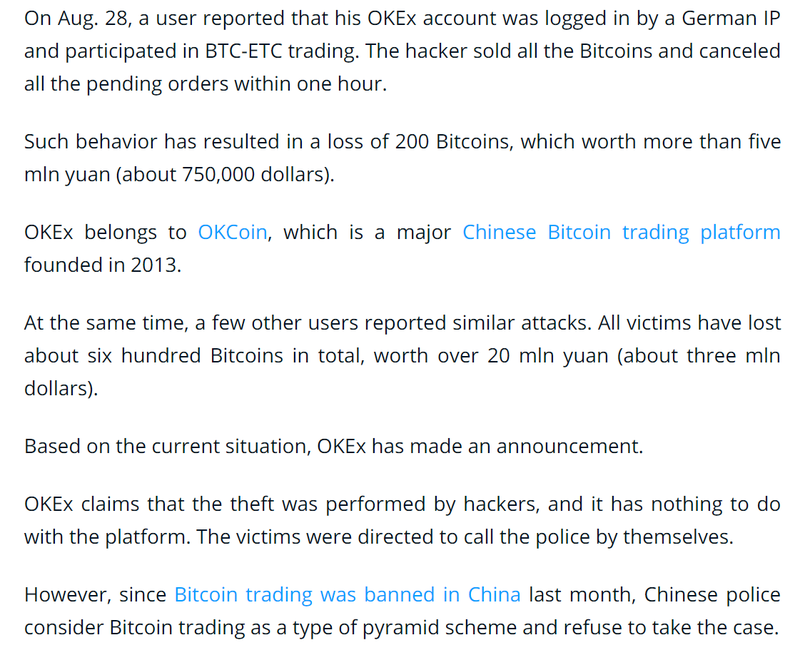 Now, this is not to imply that there was any nefarious activity on the behalf of the OKex exchange or OKcoin, but this situation does look very weird and it would be rightful for traders’ suspicions to be raised. However, there is a chance that the account itself was compromised. In either case, the situation is weird. The trader was angry because they felt that they were liquidated prematurely/unfairly, which cost them a hefty sum of money (reports allege somewhere in the millions). The trader’s grievance probably was legitimate when considering the fact that the price of Futures contracts on OKex had somehow dipped as low as 4750 USD on March 30th, 2018. This total is several thousand lower than what the spot price on other crypto exchanges were at that point. OKex responded shortly after this incident (within 24 hours), stating that they would roll back all of the futures trades on that platforms to a certain point in order to restore the price to ‘normal’ on the exchange. They claimed that the price had reached such a low point due to the actions of a few nefarious individuals on the futures exchange that had the ability to close trades that were of such a magnitude that it caused the price to drop down to $5k. Now, this obviously makes little to no sense, but since the trades were successfully rolled back and those that were liquidated by the extremely volatile price action had their funds restored, there wasn’t much follow-up investigation into how such a thing could have happened and why. Of course, all of this weird action is not enough for OKex, so just a few weeks later, more wood was thrown on top of the electrical fire that represents their company. In yet another weird twist, the CEO of the OKex exchange resigned right after the exchange had gained notoriety as one of the highest traded volume exchanges in the entire space. The exchange (OKex) is cited as stating that he left the exchange to pursue ‘other interests’ in life, or something to that effect. 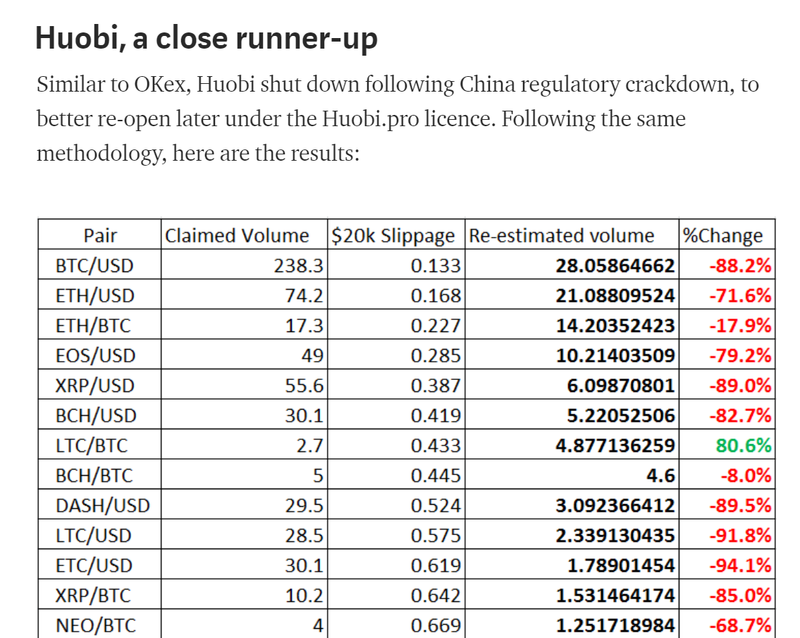 However, further released evidence seems to indicate that not even OKex anticipated his abrupt departure from the exchange. So it appears that there was a pretty deep internal conflict between the two individuals. 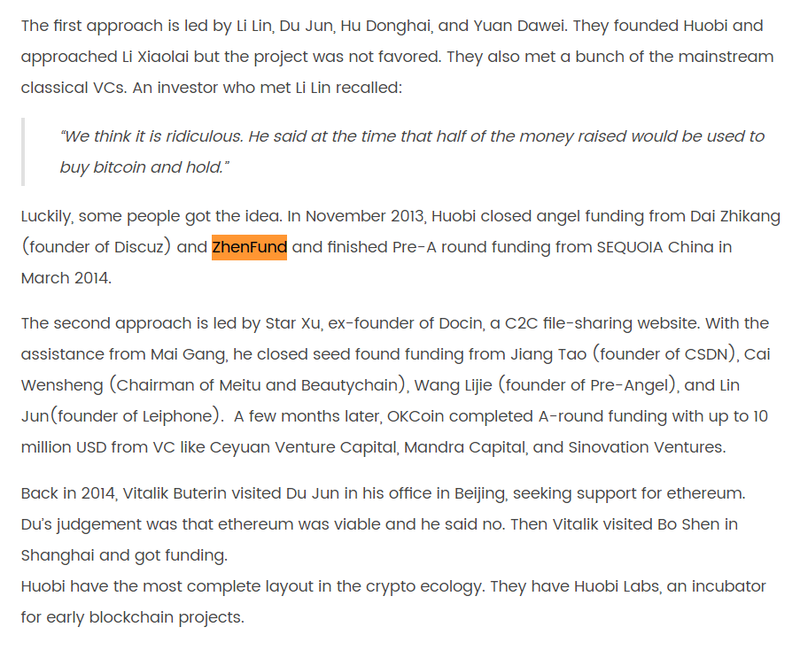 Apparently it was deep enough for Chris Lee to quit spontaneously, then go work for a competitor in Huobi. 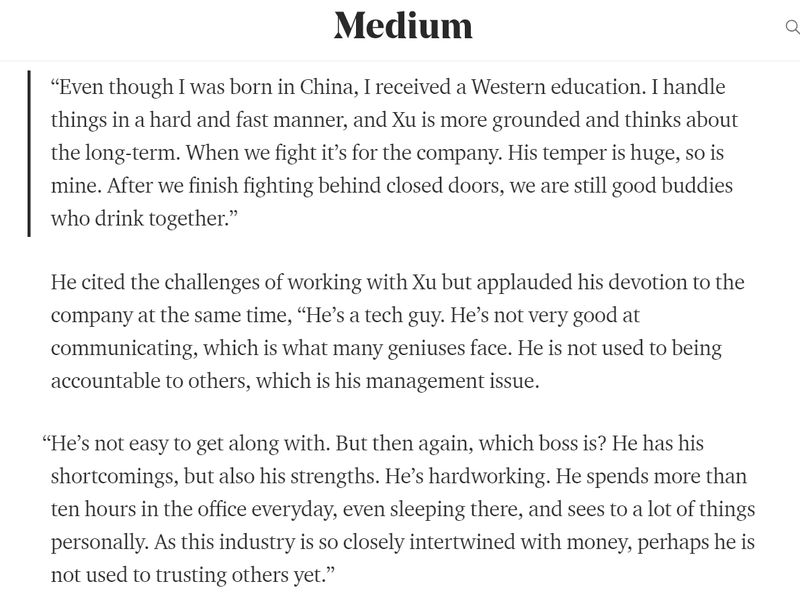 So, the intricate web of connections between all of these Chinese blockchain figures is interesting…to say the least. As the author of this study stated, this is painfully obvious. To say that this information isn’t absolutely astounding, would be a vast understatement. Considering the fact OKex is still ranked as the top exchange in all of crypto on Coinmarketcap, potentially skewing interpreted cryptocurrency metrics substantially, it begs the question of why Coinmarketcap continues to allow this exchange to be listed on their platform. Before even attempting to deliver an exposition on this issue, please keep in mind that, at the time of writing, OKex has been in operation for less than four years. That means that all of these events have happened in a space of less than four years. As they note in the article, the exchange was forced to liquidate a relatively massive long position in their futures market that was valued at an excess of $400M. The trader had apparently leveraged a long position x100 on 4 million+ contracts for Bitcoin on July 31st. 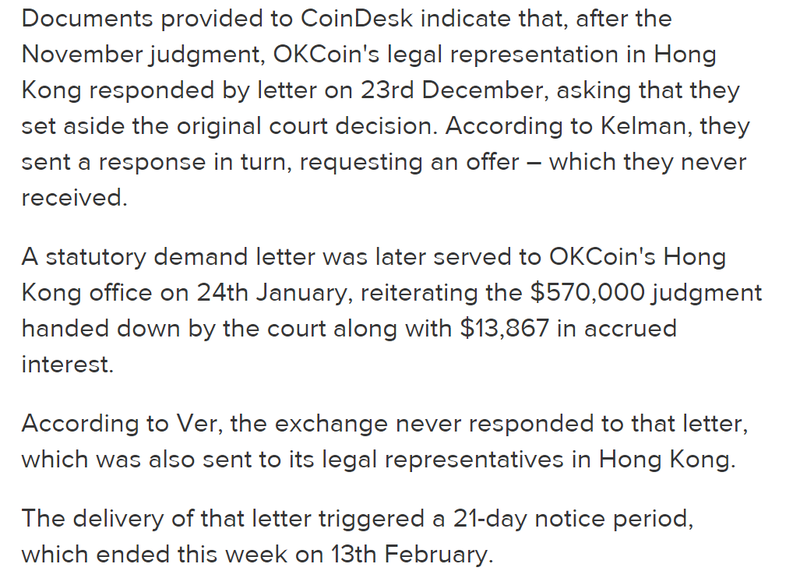 The OKex team claims that their ‘risk management detection’ system had alerted them to this order and that they reached out to the trader, yet they were somehow “unable” to amend the situation before their order was liquidated. Of course, once the price of Bitcoin lurched downward shortly after contacting the trader despite OKex’s best and most diligent efforts to remedy the situation immediately (according to their version of events), the damage had already been done. Apparently the full amount of the long contracts had been liquidated on the exchange platform, which is an amount that somehow OKex could not cover (why wouldn’t this amount be matched with orders?). This is the first of a litany of articles that will be released about this topic. This is going to be released exclusively on Steemit only, because the individuals named in here tend to have the ability to get everything removed at will.